Which word from the list above would you choose? The word that I chose from the list was joy. My resolution is to plan more activities that bring me joy. I need to be better about enjoying life. Whether that means playing with my dogs, going to the park, trying out a new recipe, hanging out with the ladies, and going to conferences. I am going to make sure I take the time to have fun! I am also going to spend more time learning about God’s word and what He has for me for 2019. I challenge you to also pick up your bible and just read a verse each day. Allow God to place the JOY in your heart by his word. Sheila lives in Justin, Texas and currently attends the Justin site. She and her husband have been attending since Fall of 2017. Her husband, John, worked with our Site Coordinator Daniel who invited John to come for a burger. Sheila had just gotten out of the hospital when she was she received a burger from her husband. After several months of healing, Sheila came to the site to serve. She was physically limited on how to help because of her two broken ankles. Over time she’s been able to stand on her feet and serve with joy. 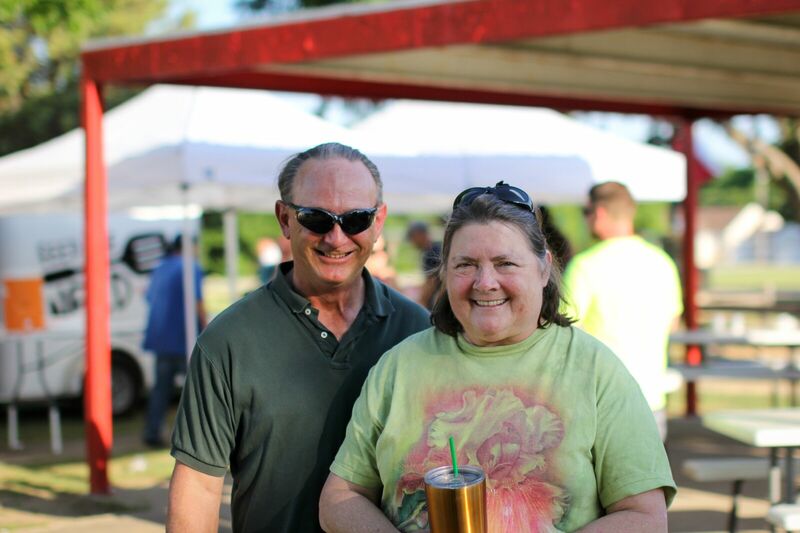 “Feed the Need Missions has helped me get outside of my four walls (house),” Sheila joyfully said. Feed the Need Missions has impacted her by providing a new family, “one that I love AND they love me back,” she said. “My favorite part is the fellowship and volunteering. It has given me a sense of worth and also has provided support in my faith, hope and encouragement. It’s not as scary now to step out in faith,” Sheila added. One of my favorite parts of the Christmas story is when the angels showed up in the field where the shepherds were watching their flock. I love it so much because God chose these average than average people to announce the biggest news the world has ever heard. Not only was Jesus’ birth the opposite of fancy, but the people who helped proclaim and spread this news were also just your typical shepherd. Can you imagine just hanging out minding your own business and all the sudden a “multitude of heavenly hosts praising God” shows up? I am pretty sure I would have dropped everything I was doing and would have gone “with haste” (Luke 2:16) just like those shepherds did to find this baby. What a wonderful and marvelous picture of God using ordinary people to make an impact for His Kingdom. 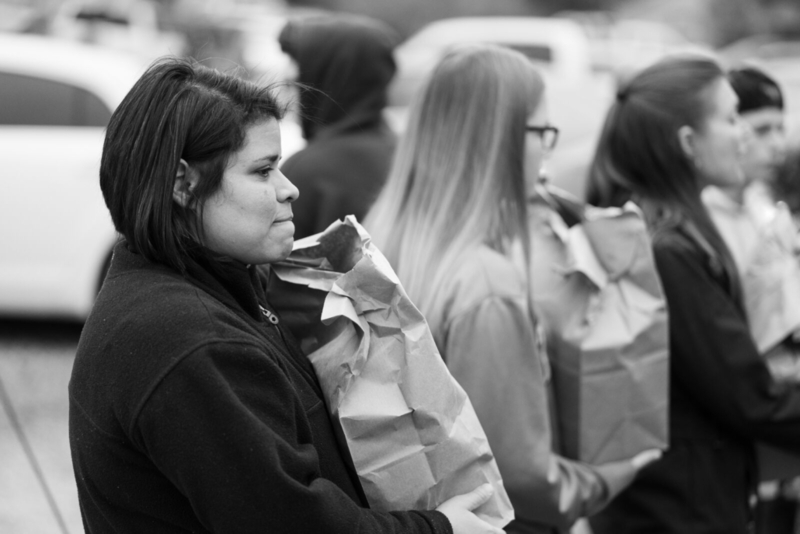 At Feed the Need Missions we are all ordinary people just trying to be obedient to the calling God has put on our lives. This Christmas, we hope you join us in praying that ordinary people, like you and I, will be used by God to spread His love, just like he did with the shepherd that night in Bethlehem. 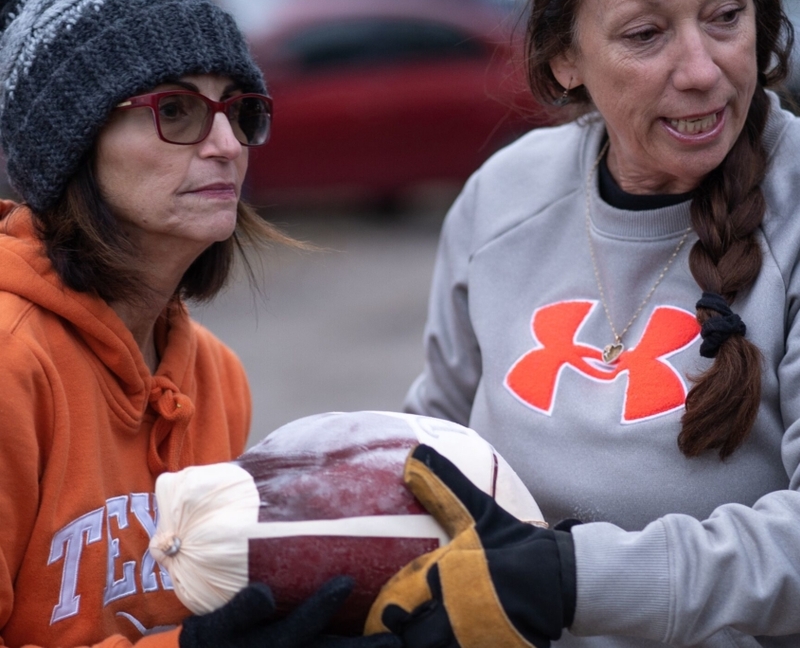 Christmastime is here and, like every year, Feed the Need Missions will still be out there serving our communities even on a special holiday, like Christmas Eve and Christmas Day. This is a great opportunity for you and your family to come serve with us. We will be serving our regular weekly meal along with some sweet treats. And this is where we need your extra holiday help! We are asking you to join us to make some sweet treats to bless those we serve during the Christmas season. These can be cookies, cupcakes, pies…whatever your Christmas treat heart desires. Bring your treats the day your local site meets, and we will hand them out that evening. And while you’re at it, why not stay and serve with us that day? 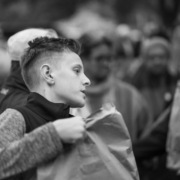 What an incredible way to give back to your community this holiday season. Each site has a specific set up time, serving time and clean up time. Please see below for the days we will be serving up some special Christmas treats at our sites. Click the site link for location addresses and times. Have a very bright and Merry Christmas! And thank you for joining with us and spreading a little more Christmas cheer. 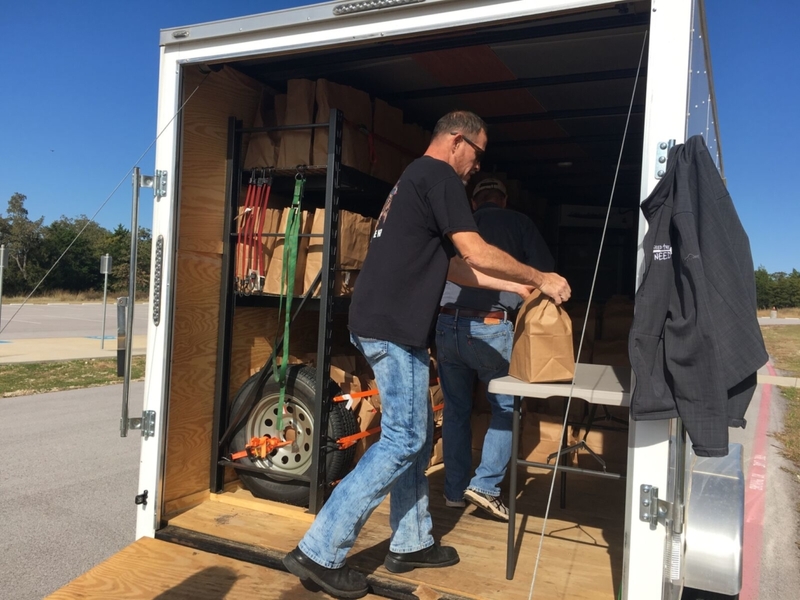 This Thanksgiving Feed the Need Missions partnered with churches and businesses to provide those in our community with a Thanksgiving meal kit through our Gobble Kit program. It was the first year we did this and the impact we saw in the community was incredible. 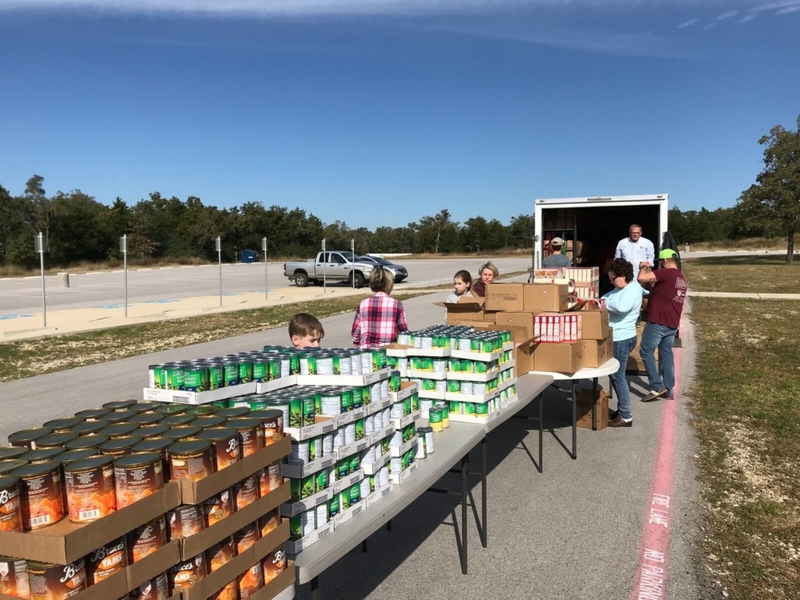 We had 467 families sign up across our seven Feed the Need locations, and with the help of the community, EVERY family who signed up was provided a Thanksgiving meal to serve their family. 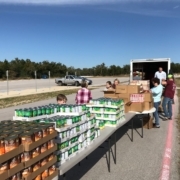 We are so thankful to the churches and businesses that partnered with us to make a difference this Thanksgiving. 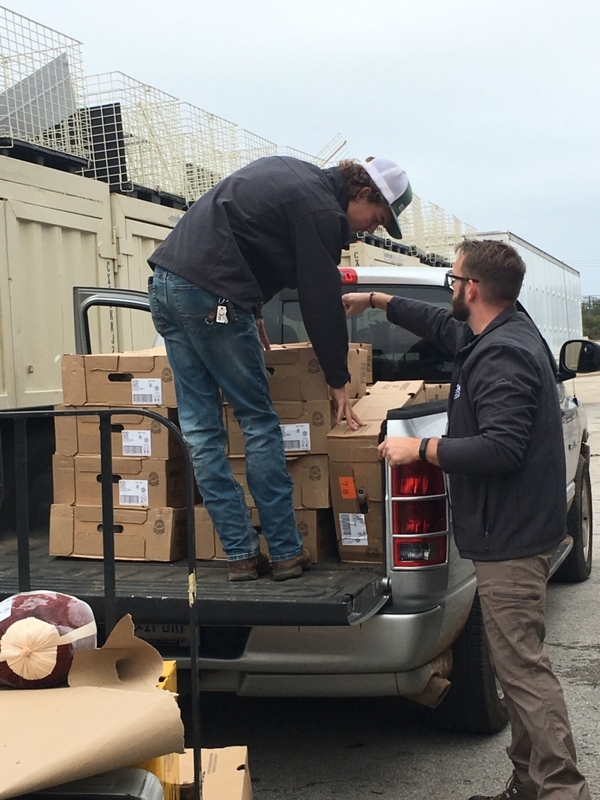 And we are so thankful to the people who took the time to gather the supplies, donate funds, and volunteer to put the Gobble Kits together. It truly made a difference in the lives of these 467 families. We also put together this video about our vision and experience during this first year we launched this Gobble Kit project. We hope you take a few minutes to watch a little insiders perspective to our hearts and desire to make an impact in our communities, especially during the holiday season. Thank you to those who participated in providing a Gobble Kit this Thanksgiving. Because of you each family was blessed this season. From now until the end of the year we will be sharing stories from each of our sites across Texas. 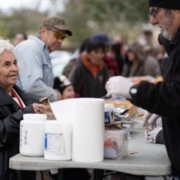 Every site has the same mission: to feed people physically and spiritually. We see God using our volunteers and those that come to grow and build relationships with those in Christ. Here are just a few of the stories from our sites this past year. Newark Serves every Tuesday starting at 6:00pm at the Park Near Fire Station located at 405 Hudson Street, Newark, TX 76071. 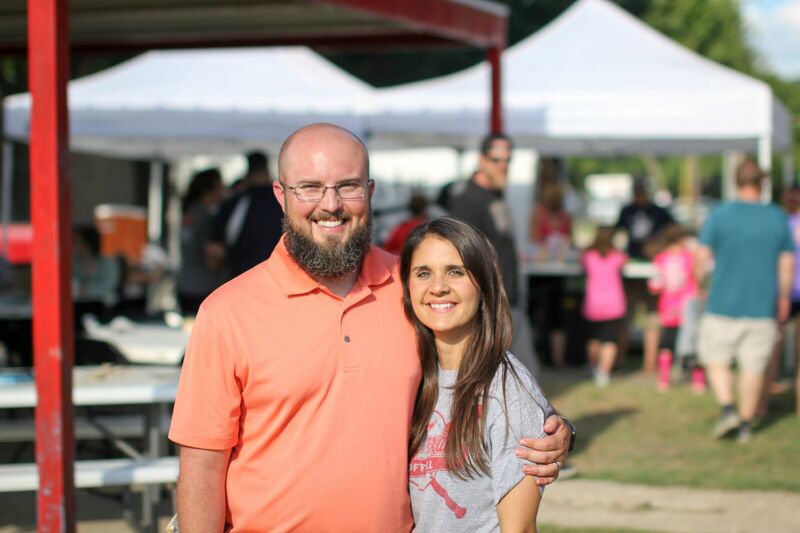 Scottlan and Ronette have been married for almost 11 years. They have four beautiful daughters. The family heard about Feed the Need Missions from Brandon (Justin, Site Coordinator). They helped Brandon get the Justin site established. 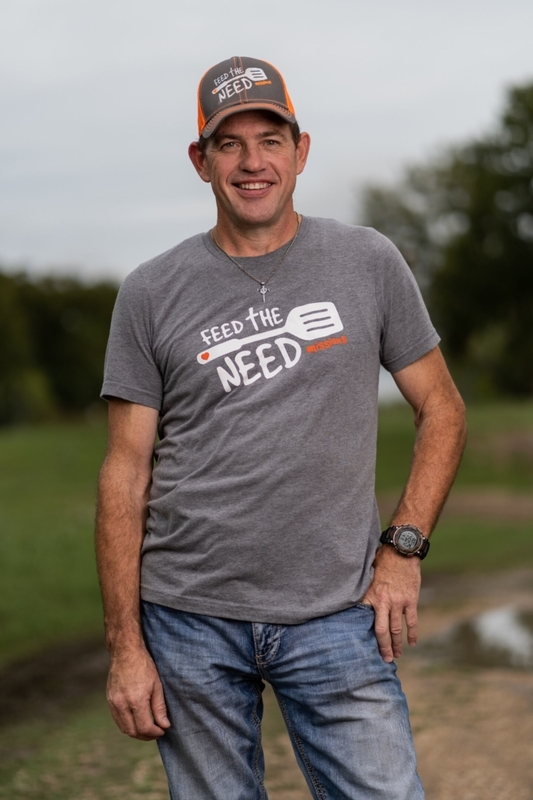 “I love the simplicity of Feed the Need Missions. Love God and Love People. Feed the Need Missions does just that. 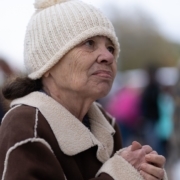 When we found out we were moving to Aurora we were sad to leave the Justin site but we knew there was a great need for one in Newark so we began to pray about becoming Site Coordinators,” said Ronette. After a year of prayer and preparation Scottlan and Ronette are now the Site Coordinators of the newest site in North Fort Worth; Newark. “It has had such an impact on me. It has shown me that the gospel is simple. We don’t have to complicate it. 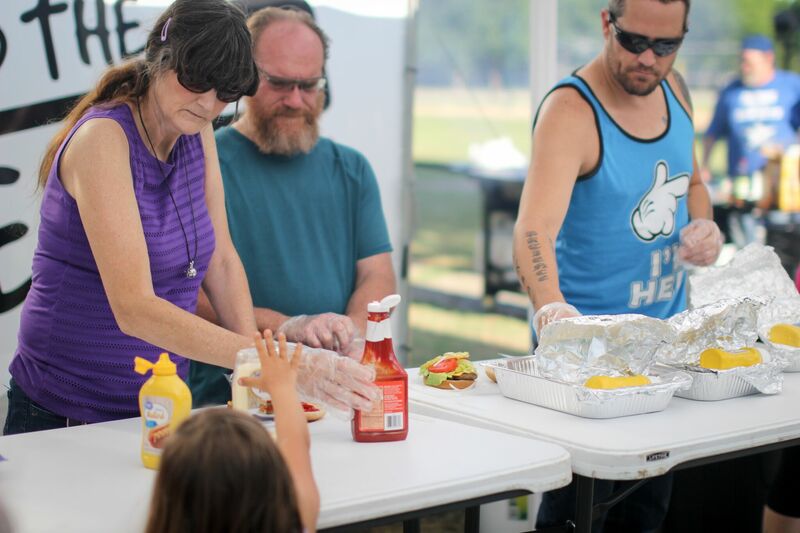 I am blessed each week by seeing people serve others and seeing others fall in love with Jesus by using the burgers as a tool. It draws me closer to the Lord and blesses my soul,” she said. 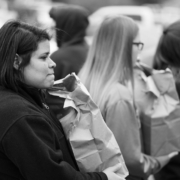 Meagan explains exactly what Feed the Need Missions is: “You look out and see a legacy. It’s a seed. Jesus said go out and feed the people and share the love and that’s what you guys are doing,” Meagan said. Feed the Need Missions spreads the seed of Jesus Christ. 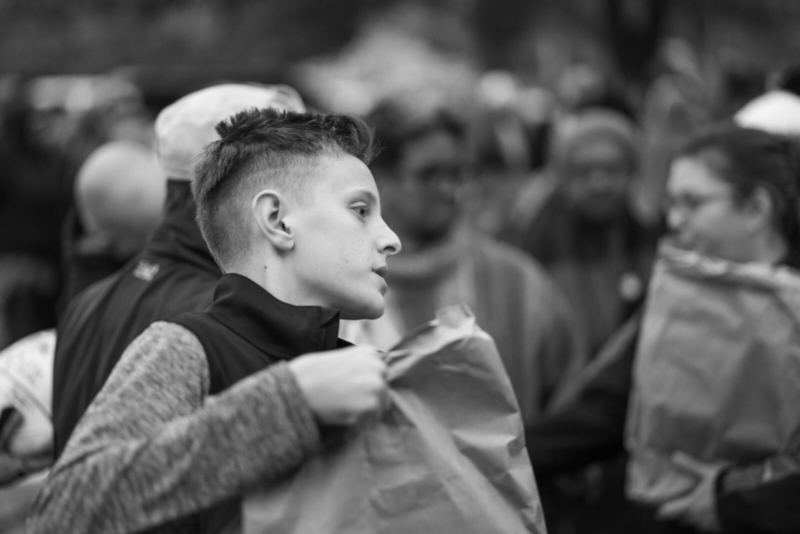 When you give to support our communities, people’s hearts and lives are being changed. 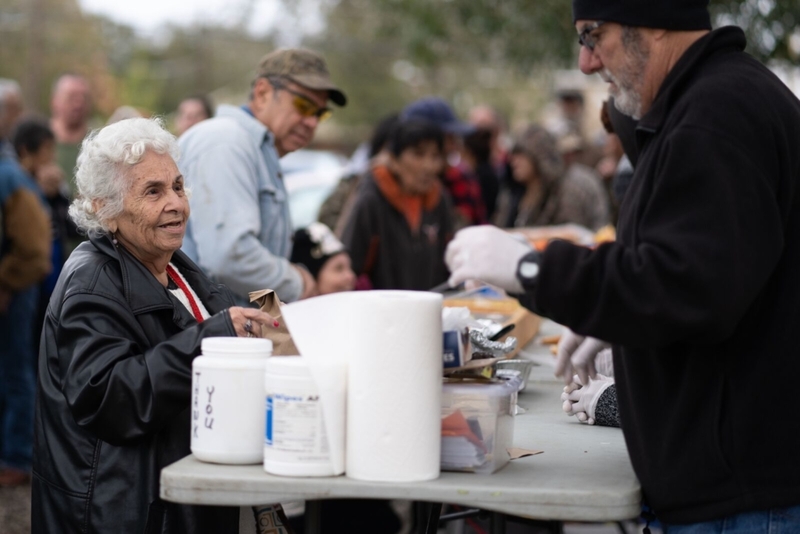 With your help, Feed the Need Missions will continue to provide a hot meal and share the love and message of Christ to those in our communities each week. Can you help Feed the Need Missions continue serving each week by making a generous contribution of $25, $50, or $100 today? Without your generosity, people like John and Peggy, might not get to hear about the love of the gospel and what it truly means to have people who love and support you where you are. Don’t delay, give now and make a difference in your community today. 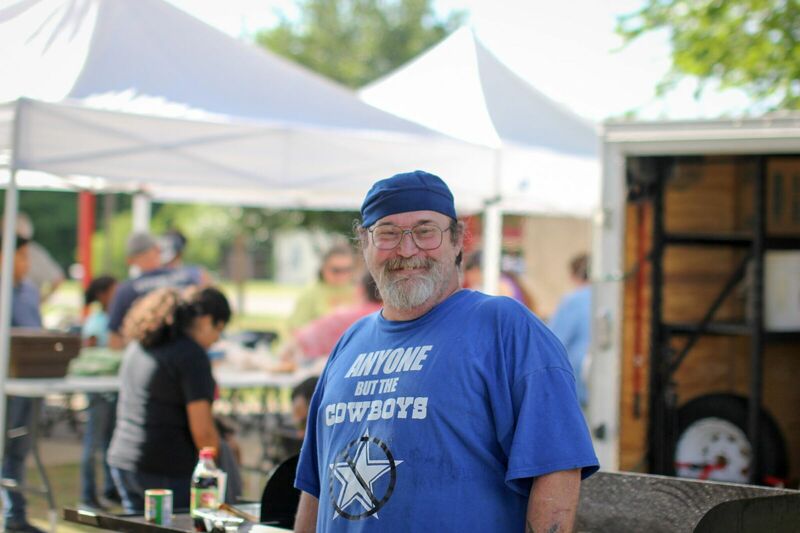 JUSTIN Serves every Thursday starting at 5:30pm at Justin Park located at 415 North College Ave., Justin, TX 78647. Jay moved to Justin Texas from California in 1975. Growing up he spent most of his life moving around. “Dad was in the military and we moved around every 3 years. I had a hard time making friends and keeping friends because of it,” he said. He moved in with his parents in 2009 to take care of them. In 2010 his father passed away and in 2016 his mother. Jay was married, but divorced because of alcoholism and other reasons. Right before he moved in with his parents Jay decided he needed to quit drinking and to get his life back on track with God. After Jay’s mother died he started battling depression. He found himself slipping back with no where to turn. Before Jay started serving he would come to get free food and Brandon, our Justin Site Coordinator would pray with him every chance he could. Soon, Jay started serving and was being picked up for church by Brandon. But that’s not all, just a few months ago Jay called Brandon in desperation. He was wanting to take his life. With a gun to his head he sent a desperate text message to Brandon and Brandon immediately went to his house. Through conversations and prayer Jay realized his life on earth still had meaning. Sheila lives in Justin Texas just a few miles from the Justin site. She heard about Feed the Need Missions from kids holding up signs for free hamburgers almost a year and a half ago. Julia has been living in Stony Point for 48 years. She has a daughter, seven grandchildren and seven great grandchildren. She spends a lot of time taking care of her grandchildren so her daughter can work. 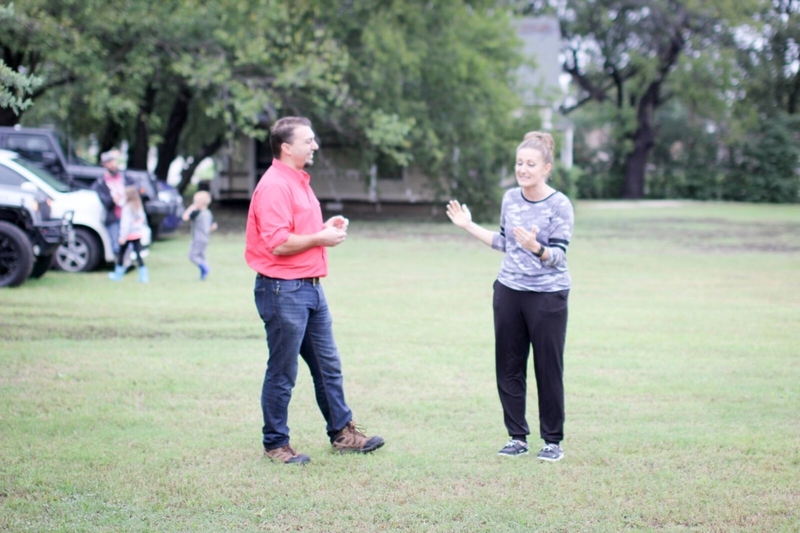 Julia heard about Feed the Need Missions from Gilbert, a volunteer at our Stony Point site. Julia was driving by and Gilbert stopped her to give her some food. At first, Julia was a little skeptical about staying for the fellowship so she would receive her meal and leave. Now, six months later Julia stays to enjoy her meal at the site and stays after for Table Talk. 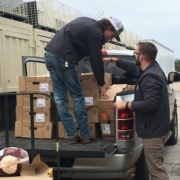 “Feed the Need Missions has been a blessing to me. I look forward to Monday nights. Every time I go everyone is so nice. I like that we pray and study the Bible together. Seeing you guys give food to everyone and seeing the smiles on the kids faces makes my heart happy,” Julia said. “After reaching a point in my life where my health was so bad and I received a diagnosis of a rare respiratory disorder, I basically didn’t expect to be here on earth. After several years in a wheelchair, I decided to fight against everything holding me down,” Marty said. Marty has been serving at the Stony Point site for almost a year. 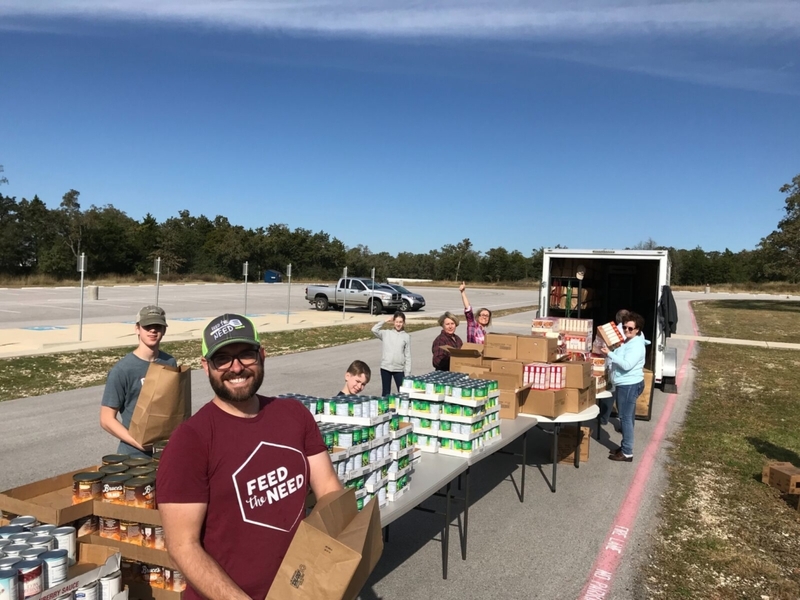 He loves what Feed The Need Missions is doing. It has helped him with his recovery and helped him get involved in outreach again through a positive Christ centered environment. “My purpose here is to let each person know that no matter what has been done, no matter what is currently going on, or what will occur in the future, each of us has been extended grace and forgiveness from Christ. Feed the Need Missions has provided outreach for me to share true love and grace. I am trying to be a fisher of men,” Marty said. As I was sitting and reflecting how thankful I am, I realized I mess this grace and gratitude thing up daily with all my distractions. I’m distracted and side-tracked, self-serving, self-seeking and so very undeserving. At the very least, I can offer up my humble thanks, my appreciation. The simplest prayer of gratitude for this Thanksgiving. “Thank you for the hard moments, when I’m at the end of me, because only then do I see even more of You. Thank you for the courage to do it again, to be faithful when it doesn’t feel like enough, and when it doesn’t feel like it makes a difference. Thank you for truth that is bigger than my emotions. May we give thanks for courage and for hope. May we give thanks for grace and for faithfulness, for truth and for beauty. May we thank Him for tomorrows and whatever amount of health we have, and for the smiles we get to see today. May we thank Him for all things. He is faithful, friends. Always faithful. And the very least we can be is thankful. As we celebrate the upcoming holiday, may we find even a few quiet moments to offer up our genuine thanks. 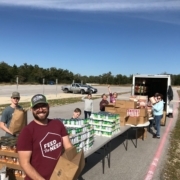 GIDDINGS Serves every Sunday starting at 5:00pm at Giddings Food Pantry located at 190 North Harris, Giddings, TX 78942. Kathy is 64, lives with her son, his girlfriend and her two children. 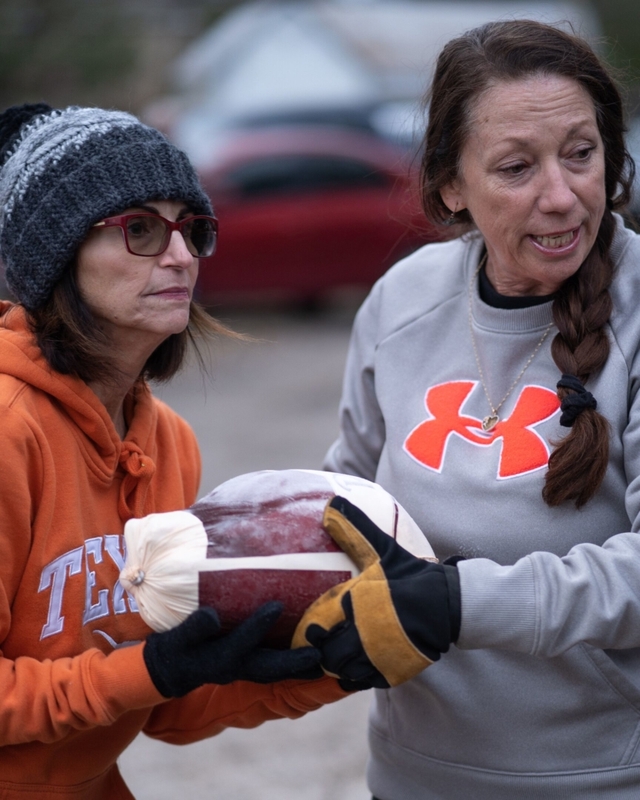 “I couldn’t make it on my own,” Kathy explained, “I’m on disability and if it wasn’t for my son, I don’t know what I would do.” Kathy comes to Feed the Need Missions on Sunday nights in Giddings when they don’t have enough to eat at home. Kathy is not one of those faces we see each week at the site. 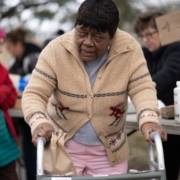 Feed the Need Missions helps to fill the gap for Kathy and her family when times are tough. 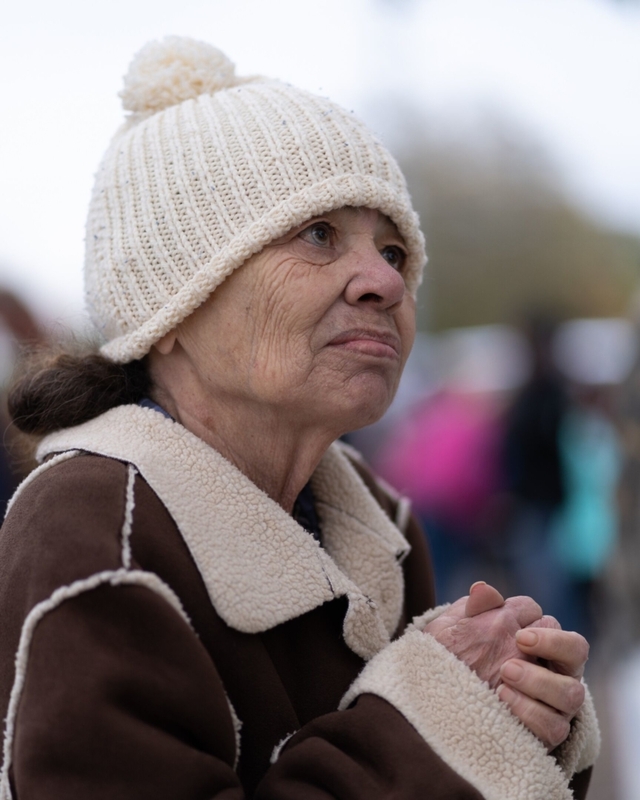 “My son has a job, works full time, but by the time bills are paid there’s not much left over for us to buy groceries.” Lately, Kathy has been a regular at the site because the family is in one of those tight seasons. She walks to the site often with Shawna, the daughter of her son’s girlfriend, to get a meal; sometime two meals for the family. 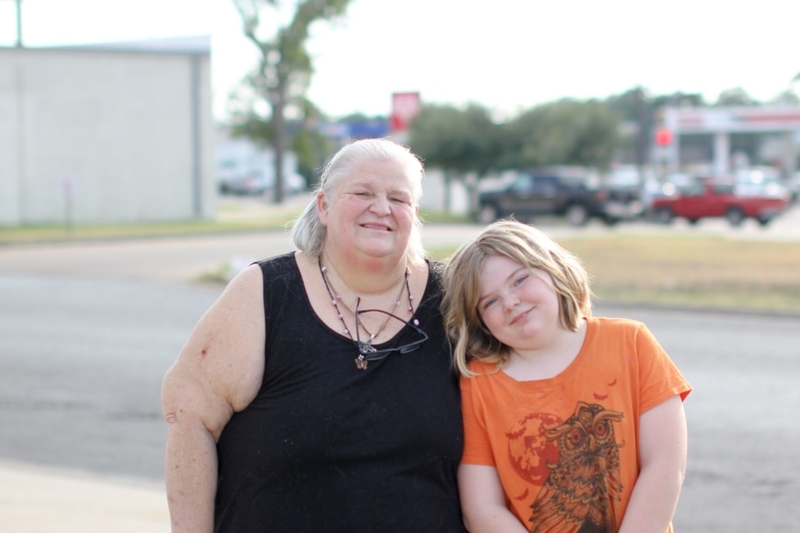 “It’s nice knowing I can always come here and get something to eat,” Kathy shared. Kathy is not a believer, however it is evident the Lord is working during this tough time. We are praying for Kathy and her family to come to know the love, truth, and grace found in Jesus. We know God can do great things even with something as simple as a hamburger. 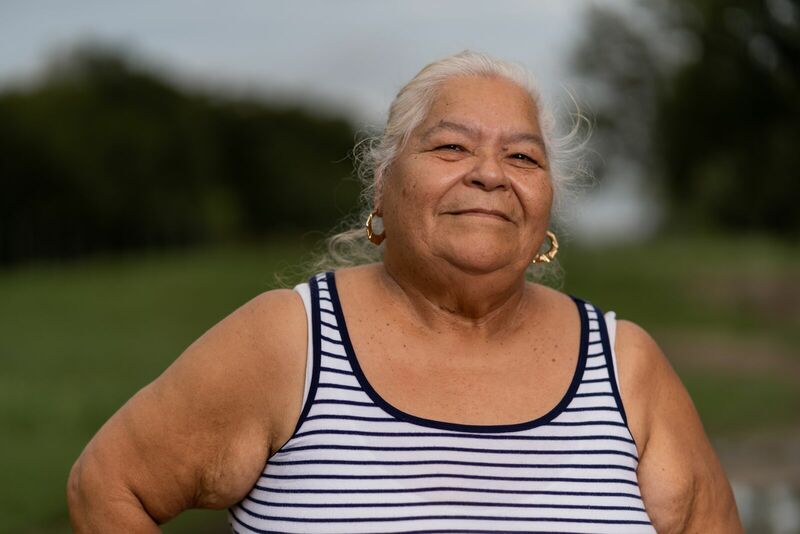 “I’ve been coming since the beginning,” Barbara says, with a smile on her face and joy in her eyes. At first glance you would not see the hurt Barbara is currently facing. Barbara is dealing with abandonment and going through a divorce. 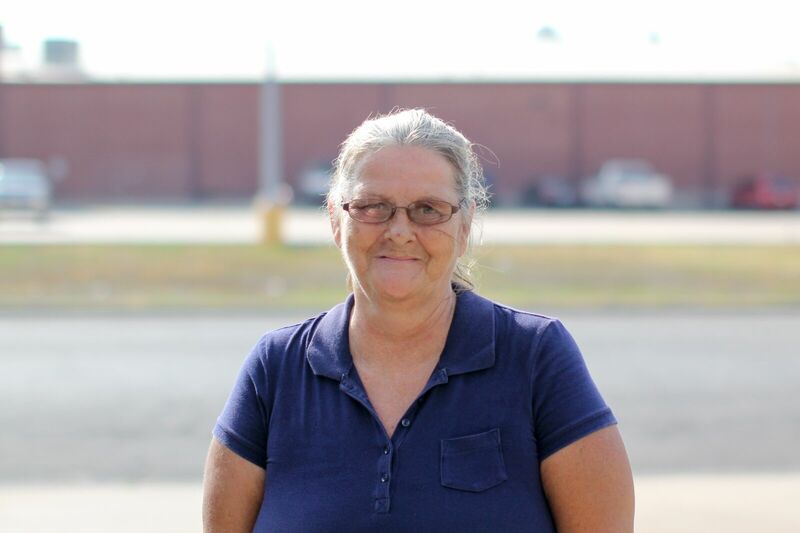 Barbara joins us weekly in Giddings and has done so since April of 2014. She comes and updates us weekly with how life is going. The good and the bad, the ups and the downs. Barbara caught on quickly what Feed the Need Missions is all about. She loves our burgers, but it isn’t just the hot meal she comes for. Feed the Need Missions is a place of hope and encouragement for Barbara. 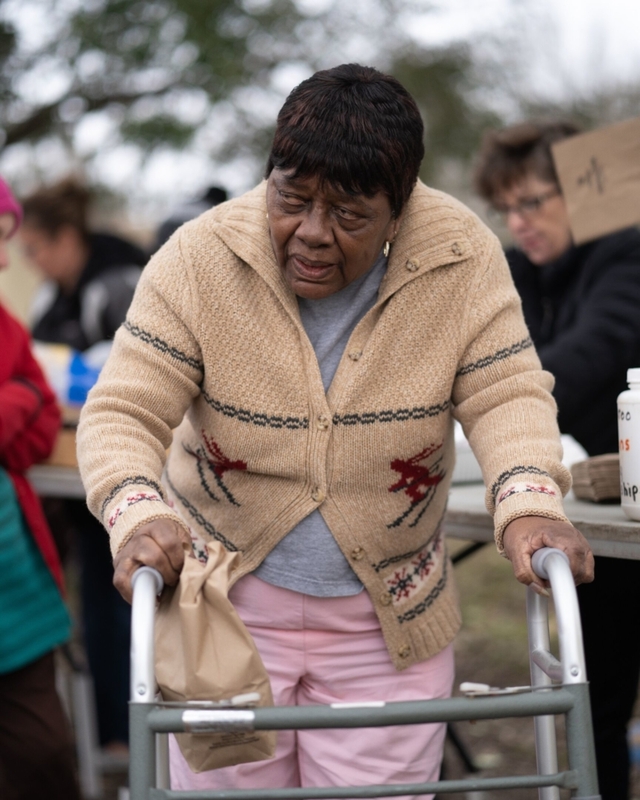 “I know when I have nothing to eat I can come here to eat and get the support and prayer I need. 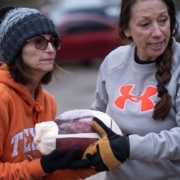 I try to make it each week for the time of prayer,” she explains.